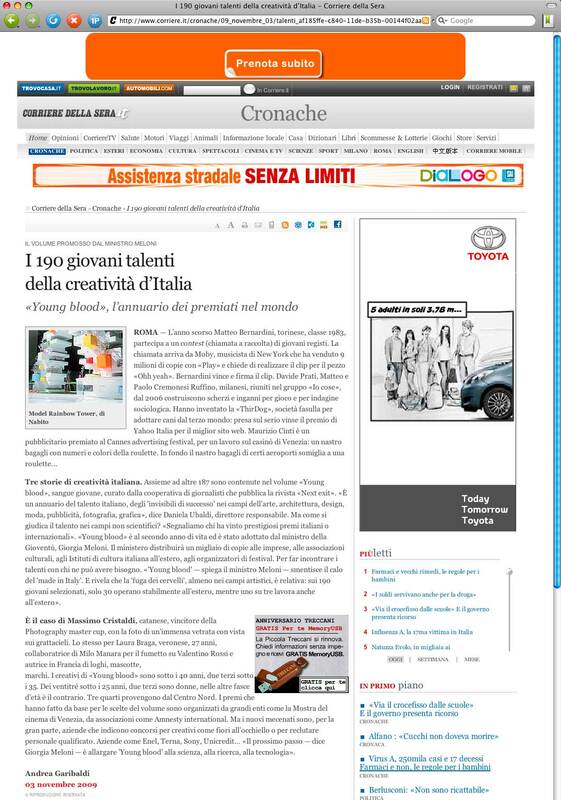 I’ve been included in the list of 190 young Italian awarded in the world for creativity. 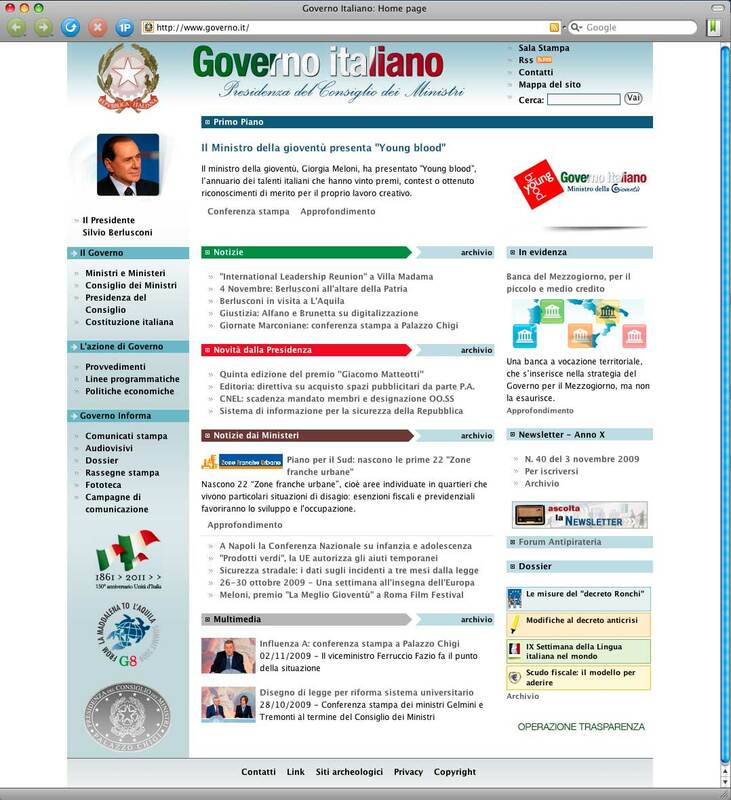 The list is contained in a new volume called Young Blood 2008 that has been presented today by the Italian Ministry of Youth, Giovanna Meloni. The news about the presentation has been reported by “Il Corriere Della Sera”, Italian major newspaper, in an article on the front page that is also visible online. Complimenti, e questa volta te lo dico con vera invidia! No, non è vero, sono invece contento che costanza e talento siano premiati e riconosciuti anche pubblicamente.